I admit when it comes to photography…well at least I try. I like outdoor shots. 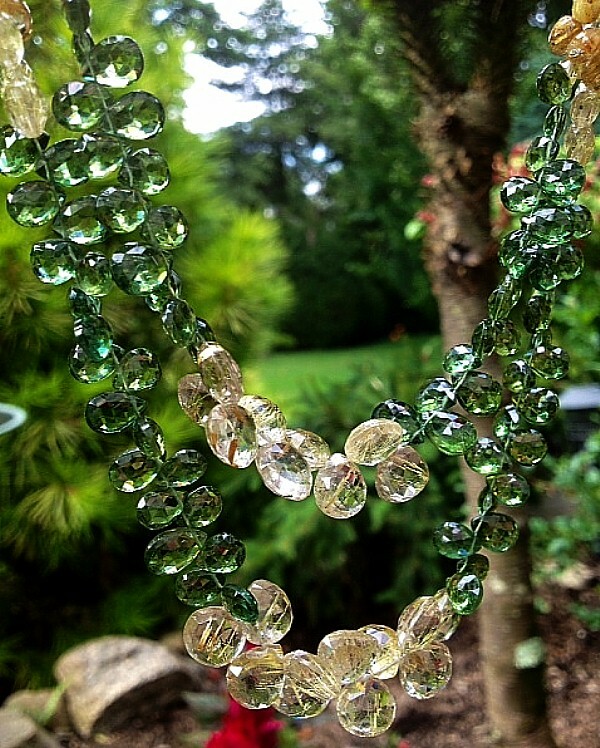 I love to show the true color of the beads I use. 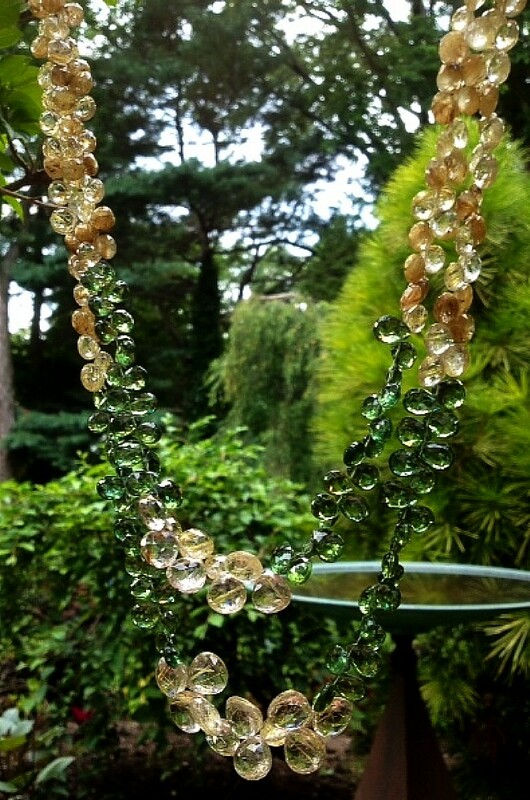 This necklace is a combination of Green Apatite and Gold Rutilated Quartz. The green apatite sort of blended in with the background.